Hello to all my #wrtierwednesday peeps! I just wanted to hop on here to let you know about a new and FREE workshop being hosted by Restored 316! If you’ve been reading my writer Wednesday posts since the beginning then you know how much I adore Restored 316 WordPress themes. Well, today they are releasing a NEW theme plus a free workshop to show you how to use the theme. You can view a live demo of the new theme here. 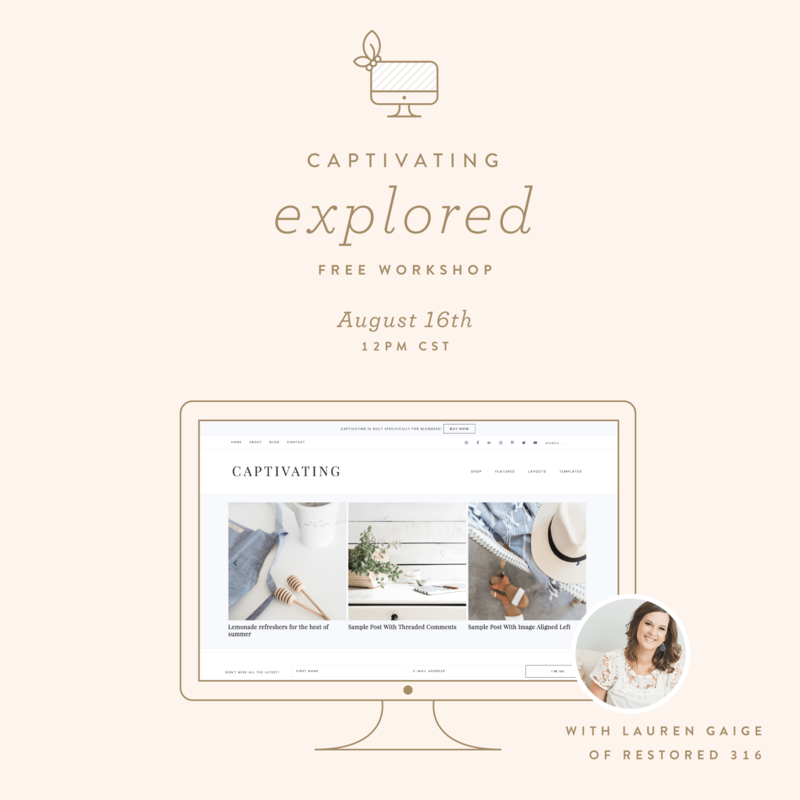 If you are on the fence about purchasing a WordPress theme then I highly recommend attending the free workshop, it will be a educational opportunity to you whether or not you plan on purchasing the theme! Just click on the image below to register today! Disclosure: Just to be totally clear I am an affiliate for Restored 316, but before I became an affiliate I was also a customer! I own several of their WordPress themes, and as you can see THIS blog is powered by one of their themes, too! So even though my affiliate links are placed throughout this post, I truly only affiliate myself with products I feel will be a blessing to my readers. Thank you for your continued support! I might have to check this out. Thanks for hosting and have a wonderful rest of the week. I love this new theme! Love Restored 316! I use their Refined theme and they have been great to work with!